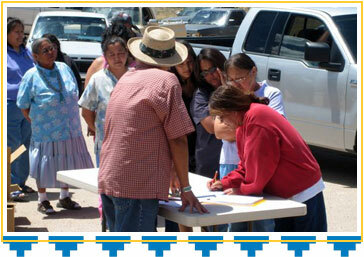 to clan and culture among Navajos. Local volunteers, known as NRF Program Partners, volunteer their time and energy to plan and implement services where they live. They identify needs, recruit other volunteers, provide community contacts, and reserve facilities for events. 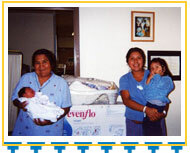 Program Partners also play an essential role in motivating others in their community to help. Volunteers of all ages carry out much of the preparation and distribution work associated with NRF services, such as sorting, packaging, and delivering food boxes to tribal members. 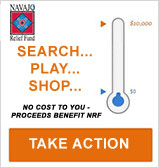 This unique relationship with the communities we serve makes the NRF Program more of a partnership and less like charity. 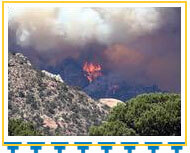 Disaster Relief: In June 2006, a large wildfire along the Arizona-Utah border contaminated the only source of water for 1,400 Navajos. Within days, NRF delivered a truckload of food, water, toiletries, and other emergency supplies. Healthy Living: NRF supports our Program Partners who offer classes, home visits, or assistance with appointments that help kids, teens, and youth. 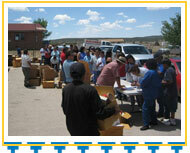 Pantry Packages: Nonperishable food is delivered quarterly to hundreds of Navajo families. In addition, local volunteers can request emergency food boxes for families in special need. Holiday: Food is provided so that hundreds of Elders and community members may participate in community-wide holiday meals. in the bounty of Christmas. 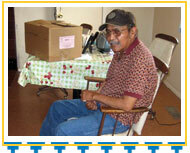 Home Repair: Homes of Elders are weatherized and made safer through NRF’s home repair service. Many of the structures we repair would be considered unlivable by most people.